There are many different types of natural disasters that can damage your personal documents and important files. You should be sure to take special measures to keep home records safe from any type of disaster, including natural disasters. Disasters that are able to destroy home records that are not properly protected include fires, tornadoes, hurricanes, and floods. Why Is It So Important To Keep Personal Documents Safe? Storing personal documents in a safe place not only protects homeowners from disasters but it also helps keep your identity protected. 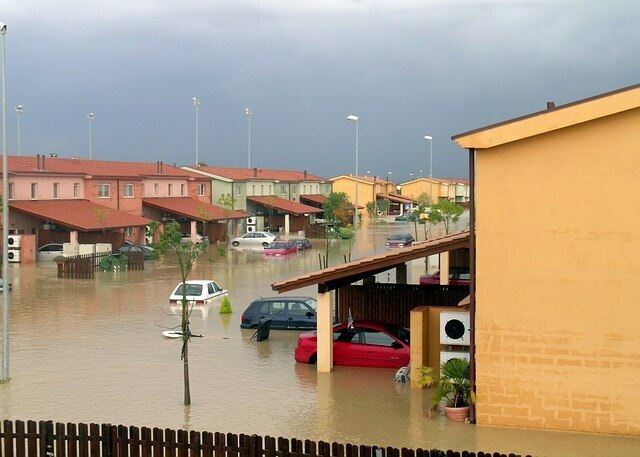 Disasters like floods and fires can strike at any time. Personal documents such as tax materials or bank statements are important to keep private. Identities are stolen everyday, and if these documents are left lying around after a quick evacuation it makes it that much easier for the documents to slip into the wrong hands. Other documents such as medical records and insurance policies are important for reference reasons. Keeping all personal documents safe either on the home’s property in a fire and waterproof safe, or in a safe deposit box at a bank, gives you peace of mind knowing that your documents are safely stored in case of a disaster. There are several different types of personal records that should be stored in a safe place. Personal record items that should be stored safely include: tax records, bank statements, insurance policies, birth certificates, medical documents, and social security cards. Any types of records that are kept electronically should have a back up copy on a different device such as a CD or an external hard drive that is stored in an alternate place. Safe keeping methods for personal documents come in many different forms. If you have personal documents in electronic form, make sure you have a back up of the documents on a CD or an external hard drive that is ideally kept in a different location. If you have old-fashioned hard copy files, there are a couple of different options for safe keeping. One of the most popular options for safe keeping of paper personal documents is a safe deposit box. Safe deposit boxes are located on an alternate property than the residence that helps ensure safety, especially in times of natural disaster. Another option of safe keeping for personal documents that can be located at the home is a fire box. Fire boxes are boxes that can withstand heat up to a certain point that help keep documents safe during fires, but these boxes also lock. Documents can be locked away in the box and placed in a closet or under a bed in the home. Proper storage of personal documents is extremely important. Understanding why it is important to keep documents safe, understanding what documents to keep safe and understanding the different methods available for safe storage are the right steps toward having what you need if your home is ever damaged by a flood, fire, severe storm or any other disaster.